One of several movie theatres that operated in Keene at one time. The Scenic Theatre was operating by 1914. It was closed in the early-1960’s and was demolished in 1966. Here is a really not very good photo showing the Scenic in 1938 and taken in the time after a hurricane had rampaged through New England. The Scenic was open until at least 1968. I went to a “horror” movie with some friends for my birthday when I was in junior high. I went regularly to the Scenic in Keene throughout the 60’s. It always showed family type movies such as Disney films. I have many fond memories of the place. Across the street from the Colonial Theatre… My dad took me down to see the remains after the fire… I never saw a film there, but imagine it was similar to the Ogunquite (Maine) Playhouse in ambiance… I’ve been told it segregated people of color to the balcony upstairs ( with teenagers ) but I have never been able to prove it. 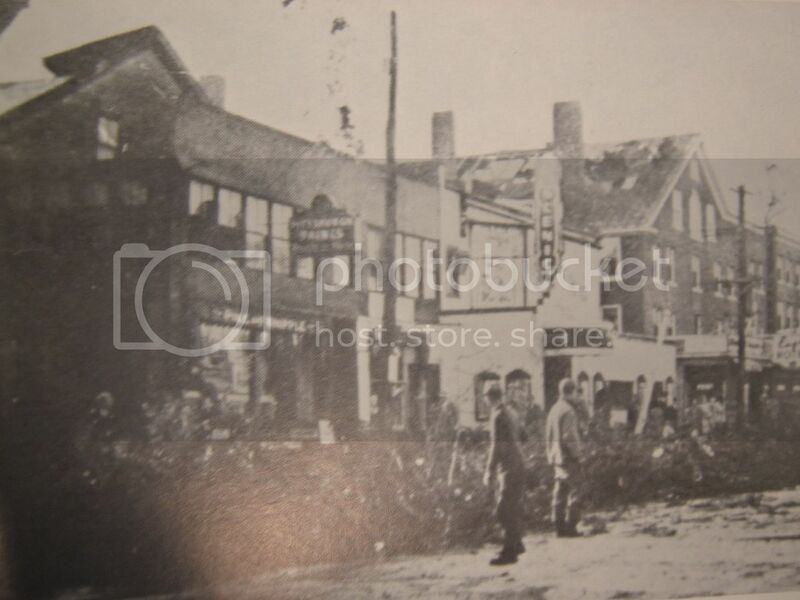 The Eagle Hotel seen in a link would also succumb to fire shortly thereafter. Today nondescript brick faced cinder block stores have replaced both the Scenic and the Eagle Hotel. The Theatre Historical Society archive has the MGM Theatre Report for the Scenic; it’s Card # 492. Address is Main St. Condition is Good. There is an exterior photo taken March 1941. The theater opened about 1925. There were 450 seats on the main floor and 150 in the balcony, total 600 seats. The Scenic Theatre was the only theater listed for Keene in the 1914-1915 American Motion Picture Directory. This PDF file has an extract from a book about Keene which says that the Scenic Theatre was built by Pike & Whipple in 1914, and the building was demolished in 1966. A 2004 article gives the Scenic’s opening date as March 2, and says that it closed in the early 1960s. Theater industry trade journals indicate that by early 1918 the Scenic was being run by Charles C. Baldwin, who would open the Colonial Theatre in 1924. 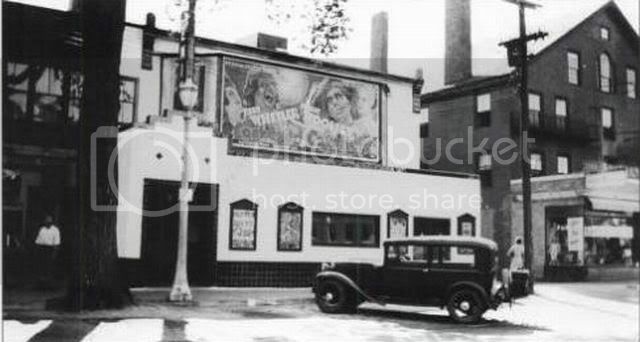 Keene’s first motion picture house, the Nickel Theatre (aka Majestic) opened on Church Street on January 9, 1905, and by 1913 the town had a house called the Dreamland Theatre.